Lombardini Diesel Engines supplied by Small Engine Services Calne. As Lombardini dealers we are able offer you spare parts & complete engines at competitive prices, Please call us on 01249 824944 with your Lombardini details and we will be happy to advise you on Engines / Parts. 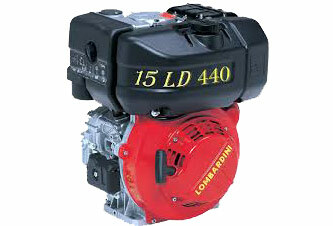 Lombardini Engines are now part of the Kohler Diesel engines family. The engine range now crosses over to incorporate the Kohler Diesel air cooled engine and Kohler Diesel water cooled engine range . Please note that all Lombardini parts are fully interchangeable with Kohler Diesel. • The single-cylinder air-cooled engines are a classic. Old 3LD and 6LD have been sold for decades to the five continents and still today continue to power tillers and other application. • 15LD family is the latest single-cylinder Lombardini manufactures. It goes from 220 to 500 cc and from 3.7 to 12HP. • Twin-cylinder and three-cylinder engines are also available to reach a power output of 37HP. Water-cooled Lombardini engines range from 440 to 2200 cc and from 11 to 65HP. They come as twin-, three- or four-cylinder. They have also engineered a 440cc engine with common rail, which is today the smallest common rail in the world.